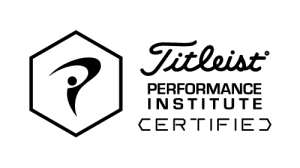 Roy is certified through the Titleist Performance Institute (TPI) for all 3 golf fitness instructor levels, which is the highest designation available through TPI. Since the late 1990’s, the game of golf has seen a seismic shift in how player’s at the highest level prepare and maintain their bodies for competition. Player’s are more powerful, more athletic and better equipped at an earlier age to perform at the highest levels while older players are extending their careers at incredibly high performance levels. The game has reached a point where its participants do not need convincing that better fitness, biomechanics and health will improve their chances of playing their best. Today’s golfers need to be convinced that their instructors are up to date with the latest information on the sport.